State Street Corporation, the world’s second-largest standalone custody bank, announced this week that it has appointed Bob Keogh as head of Alternative Investment Solutions (AIS) for the Asia Pacific region. Based in Hong Kong, Keogh will assume responsibility for the hedge fund, private equity and real estate businesses in Asia Pacific for the Boston-based financial services firm. The University College Dublin graduate has more than two decades of experience in financial services, the last 14 of which have been in the hedge fund industry. Before taking on the APAC posting, Keogh was senior managing director for State Street’s hedge fund servicing business based in Europe. The native of Ireland joined State Street in 2012 from Goldman Sachs as part of State Street’s acquisition of Goldman Sachs Administration Services (GSAS). During his time at GSAS, Keogh served as head of the GSAS business in Europe and Asia and led the establishment of offices in Ireland, Hong Kong and Singapore. 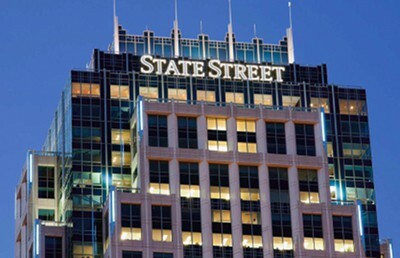 State Street is the world’s leading alternative investment service provider with US$1,291 billion in assets under administration (as of June 30, 2014). The company supports financial managers by offering fund administration and risk services for hedge, private equity, real estate and offshore funds. State Street established a presence in Asia Pacific as an alternative funds service provider when it acquired Mourant International Finance Administration (MIFA) in 2010, with locations in Hong Kong and Singapore. In Asia Pacific, State Street currently offers real estate, hedge fund and private equity servicing in mainland China, Hong Kong, Singapore, Tokyo, and Australia.